Ole Miss golfer Braden Thornberry will make his major championship debut this week at the 118th United States Open at Shinnecock Hills Golf Club in Southampton, New York (June 14-17). Thornberry will begin the “toughest test in golf” Thursday afternoon with a 2:09 pm ET tee time. Thornberry will be paired with professionals Jason Dufner and Brandt Snedeker, who have a combined 13 career wins on the PGA Tour. Brandt Snedeker is the brother of Haymes Snedeker, a four-year letterman for the Rebels (1996-99) and first team All-SEC honoree as a senior. The grouping has an 8:24 am ET tee time off No. 10 Friday morning. Thornberry will be competing on the PGA Tour for the second consecutive week. The Olive Branch, Mississippi, native tied for 26th at the FedEx St. Jude Classic in Memphis last week, making his third cut in just four career PGA Tour events. Thornberry used a pair of rounds in the 60s to finish the tournament at 4-under (73-66-65-72—276), one of 44 golfers under par. The performance at the FedEx St. Jude capped off a big week for Thornberry. On Monday (June 4), he earned his way into the U.S. Open by claiming one of 11 sports up for grabs at sectional qualifying in Memphis. He fired a 5-under 66 at Ridgeway Country Club to begin his day before heading over to Colonial Country Club and shooting a 68 (-4). Over 36 holes, Thornberry finished the day tied for fourth out of 117 golfers in a field that included 98 professional golfers, becoming the only amateur to qualify out of Memphis. Throughout the 36 holes of play, he recorded 11 birdies while only making two bogeys. Currently the No. 2 amateur in the world according to the World Amateur Golf Ranking, Thornberry will be one of 20 amateurs in the 2018 U.S. Open field. He just wrapped up another season at Ole Miss in which he collected four wins, increasing his victory count to a school-record 11, as well as a plethora of accolades. 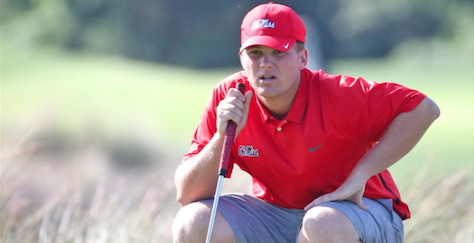 He became the first Ben Hogan Award finalist in Ole Miss history, while being tabbed as a finalist for the Fred Haskins Award for the second straight year. He was also a semifinalist for the Jack Nicklaus Award. Last month, Thornberry became a first team All-SEC honoree for the second straight season, the sixth Rebel to ever accomplish that feat. He earned PING Southeast All-Region accolades as well for the second consecutive time. Thornberry has played in five professional golf tournaments (4-PGA Tour, 1-Web.com Tour) as an amateur. He made his PGA Tour debut at the 2017 FedEx St. Jude Classic, placing fourth for the best finish by an amateur at the event since 1965. 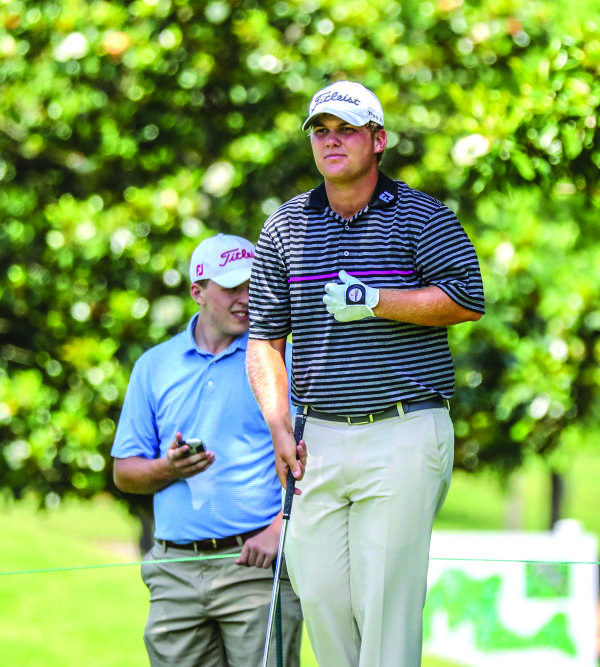 Along with playing in the FedEx St. Jude twice, Thornberry also competed in the 2017 Greenbrier Classic as the winner of the 2017 Fred Haskins Award (nation’s top collegiate golfer). In November, he used a second round 64 (-6) to make the cut at the RSM Classic. In April, Thornberry made his Web.com Tour debut by competing in the inaugural North Mississippi Classic at the Country Club of Oxford. With Rebel Nation well-represented in the gallery, he thrived off the support and finished tied for 22nd. For all news and information regarding Thornberry’s play at the U.S. Open, follow the Rebels on Twitter at @OleMissMGolf. All four rounds of the tournament will be broadcast on FS1 and Fox.